Sometimes, the fastest way down is also the most fun... This ledge, just above Nymph Lake, provides a natural sliding surface. 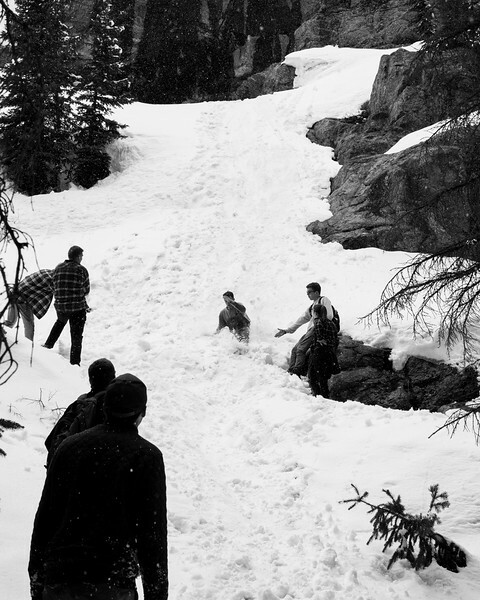 People climb up a nearby, shallower path, then slide down, making for a fun way to get back down the mountains.